Melt butter in pan over medium heat. 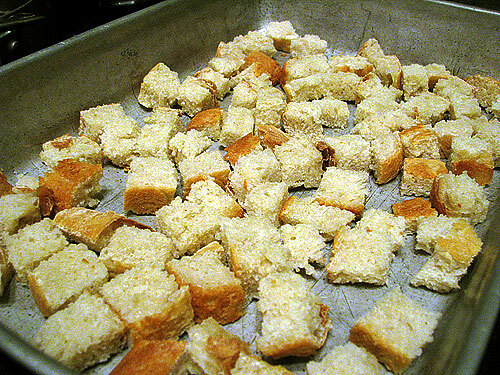 Sauté bread in lots of butter until coated and crispy. Beat eggs and milk. Reduce heat and add more butter so eggs don’t stick to pan. Pour eggs over bread. Cook until desired consistency. Some bread pieces may be slightly soggy, others crispy.